LaurieAnna's Vintage Home: What's Hiding in Your Hallway? What's Hiding in Your Hallway? Small spaces are easier and quicker than large spaces to renovate, right? Not necessarily. 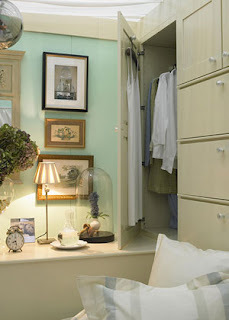 Note, my definition of small space is a home that is less than 1200 square feet. Our previous renovation projects have all been homes that exceed 3000 square feet, but I think I've learned more during the renovation of this "small" space than the first 4 combined. 1) completion of projects takes less than 1/2 the time because you have less to work with. 2) planning and designing the projects takes twice the time because you have less to work with. When space is not an issue, you can be luxurious with placement of everything. That large sofa that you love will most likely fit anywhere that you'd like to place it in that spacious family room. But, if yours is a small space, you better make sure you can even get that wonderful large sofa through the door! I've already made this mistake! But, oh how those challenges are silver lined with perks. Small spaces encourage creativity, in fact they dictate it. Just look at the creativity jumping out from these photos from the "small space set" on the Country Home site. When there is limited space in rooms, and in many cases a lack of even fundamental room features, you must dig deep creatively to create space where there appears to be none. All the while, keeping a natural flow and functional floorplan. For those of you blessed to own a small cottage, you're probably already nodding your heads because you live and breathe in this "space seeking" mental zone. This seems to be the zone where I mentally reside regularly these days. And it was that space seeking mentality that inspired this project at 5th Place. It all began with a pitiful dark and narrow hallway. It was probably the poorest design feature in this little place, notice it doesn't even have a light. And it offered a doorway into the master bedroom that already had an entrance from the kitchen. 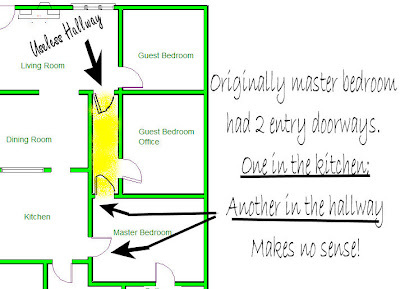 Why 2 doorways? 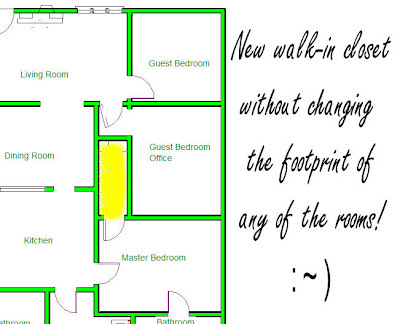 As you will see in the new layout below, by repositioning the doorway to the guest bedroom/office, and adding a 3' wall, we gained a 7' walk-in closet for the master bedroom that had no closet at all. 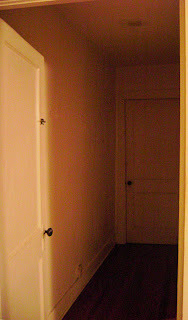 Even the door remained except that now it enters a closet instead of a needless hallway! 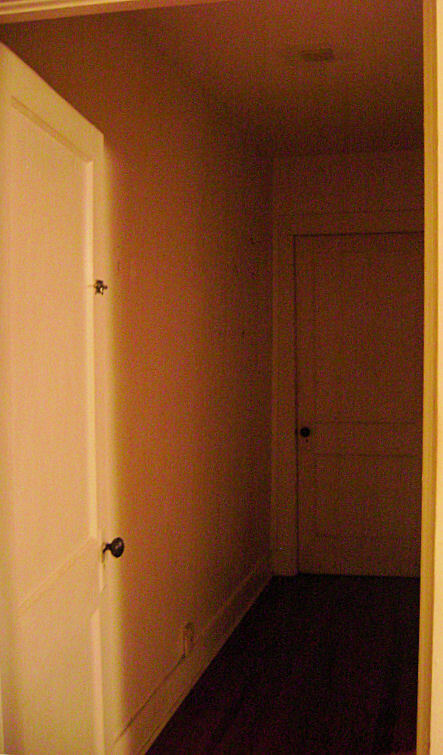 Ugly needless hallway becomes a well needed walk-in closet. Total time to complete the project, 1 day. Total cost for the project, $126.56. A bargain for a walk-in closet! If we hadn't opted for the storage unit, total cost would have been $47.56....for a closet! Okay, so it's not a glamorous project with beautiful "after" photos, but really....isn't it cool?! P.S. We will soon be embarking on a much larger "space seeking" project that I'm dying to share with you, but for now I'll wait. You're gonna love it! Hubster is pretty excited to....although it did take some convincing! You have such an incredible eye for design! 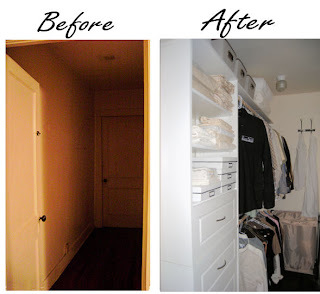 I love what you did with the closet, it truly is brilliant!! How smart you were to do that. I don't think I would have even thought to do something so clever! Oh I love your new walk-in closet! It is fabulous! And the price...wowzers!! Can't beat that!! hall is the main vein to all rooms. This was a great project! 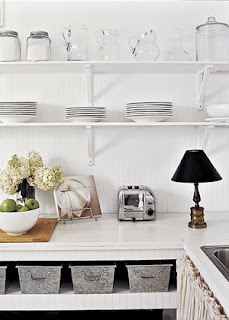 So clever, and a perfect repurposing of the space! I especially like that it was also a "thrifty" project. We can all use those! Thanks for sharing your inspiration. Wow LaurieAnna...I am sooo impressed! That was brilliant! This is truly a great idea and such an easy transformation. 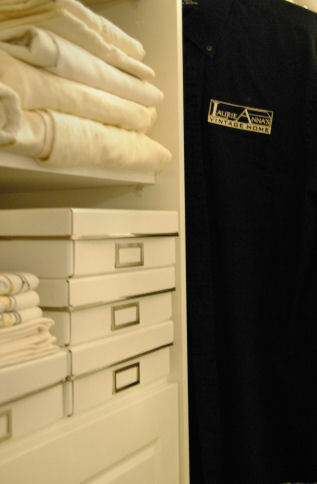 You gained much needed closet space and "no one was hurt!" IE: the house still has it's integrity. Great job! That is one clever idea!! What a great idea!! You are very creative!!! This is a wonderful project! Really functional and adds great storage! 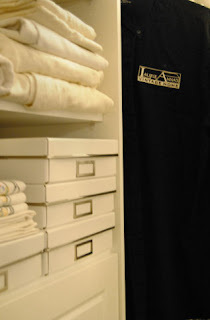 Great idea for the closet!!! Love your cottage. Love & blessings from NC! Don't know how I've missed your blog too...fabulous! Looking forward to catching up! Thank you so much for stopping by! Gorgeous!!! 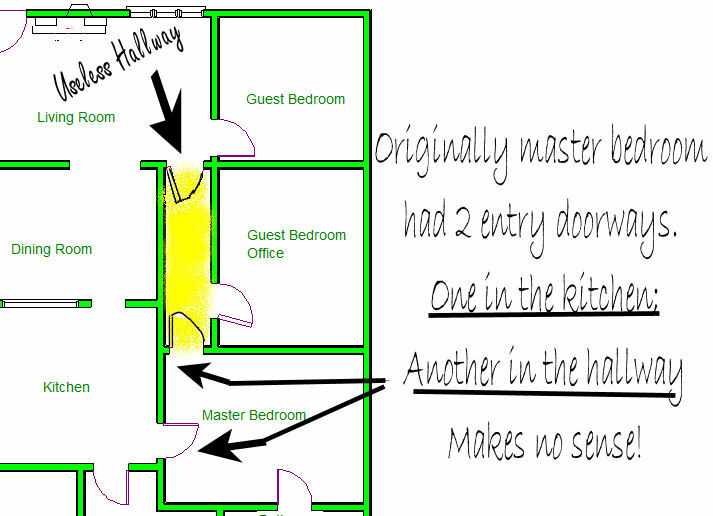 I have a small hallway with three doors and always have a problem decorating it, you did a fabulous job! I'm so glad you stopped by my blog, I'm really enjoying yours and love meeting new people! I hope you enjoy your Wednesday! When we designed our cottage, we didn't include hallways or closets. With a total of 375 sq. feet to work with, we looked to the past for inspiration. Older, smaller home solutions - which in our case included an open floor plan and an armoire instead of a closet. Wow. This turned out amazing. You must be so thrilled to see this now and realize you did it! I love it. I love how you did the whole thing. We are renovating our small home of 1800 sq ft. and loving every minute of it. It is good to see different options.